Dr. Norman Levine, MD, is a dermatologist in active practice in Tucson, Arizona. He has authored four books about skin health and dermatology therapy and contributed to hundreds of articles, several book chapters, and even a CD-ROM. Dr. Levine is a reviewer of dermatological cases for Physicians' Review Network. The largest and fastest growing organ in the body is your skin. Your skin is a protective barrier for your body, but it takes a lot of abuse from the outside elements. Fortunately, you can preserve your skin's health and good looks by avoiding these 12 ways to wreck your skin. It used to be fashionable to get a tan but now we know better. Sun worshiping causes a host of skin problems, from premature skin aging to cancers. 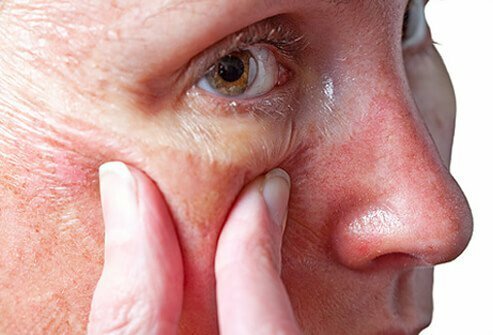 The UV rays from the sun can also cause sunburn, allergic reactions in some people, and signs of skin damage such as liver spots and actinic keratosis. Avoid the sun and you will prevent much of the damage. Don't skimp on the sunscreen. We need about 1 ounce (about the size of a shot glass) of SPF 30 or higher sunscreen to protect us from the sun's damaging rays. Even when it's cloudy the sun's UV (ultraviolet) rays can damage your skin. Apply sunscreen 30 minutes prior to sun exposure (don't wait until you're already at the beach or pool to start applying – the damage has already started on your unprotected skin! ), and reapply every 2 hours, or after swimming, sweating, or toweling off. If you spend an entire day at the beach, the Skin Cancer Foundation says each person should expect to use about ½ to ¼ of an 8-ounce bottle of sunscreen. Indoor tanning – tanning beds, booths, or sun lamps – is just as dangerous as tanning outside. Indoor tanning delivers high doses of UV radiation in a short time, which can lead to skin cancers such as melanoma (the deadliest type of skin cancer), basal cell carcinoma, and squamous cell carcinoma. It also causes premature skin aging including wrinkles, age spots, and skin texture changes. Indoor tanning Is also considered particularly dangerous for younger people – those who begin tanning indoors as teens or young adults have a higher risk of developing melanoma. Avoid indoor tanning and all the risks it carries. Everyone knows smoking leads to lung cancer, emphysema, heart disease, and stroke. But did you know smoking also damages the skin and prematurely ages it? Smoking decreases blood flow, which contributes to skin wrinkling. 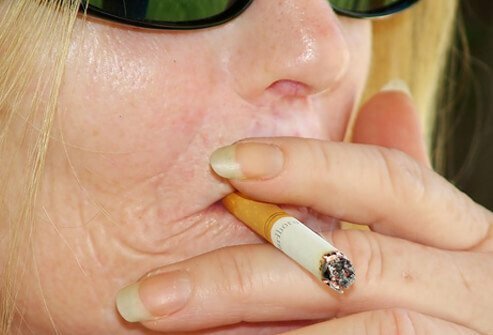 Gray, pale, and wrinkled facial skin is often referred to as "cigarette skin." Smoking also slows wound healing and increases the risk for developing psoriasis or worsening psoriasis symptoms. If you don't smoke, don't start, and if you do smoke, quit. Your skin – and the rest of your body – will reap the benefits. Don't use the wrong cleanser for your face. Your facial skin is much more sensitive than the skin on the rest of your body and it needs a milder cleanser. Choose a gentle, non-abrasive cleaner without alcohol for your face, and avoid scrubbing, which can irritate delicate facial skin. Rinse and gently pat dry. If you have oily skin and are prone to acne, use an oil-free and noncomedogenic cleaner. If you have dry or itchy skin apply moisturizer after washing. Limit washing your face to twice daily and after sweating heavily to avoid additional irritation. As stated in the previous slide, scrubbing can be very irritating to the delicate skin on your face and can make your skin look worse. In addition, if you have acne, scrubbing can actually make it worse. When you wash your face, use your fingers and apply cleanser in a gentle, circular motion – even using a washcloth or sponge can be irritating. Rinse with lukewarm water, and pat dry. Avoid scrubbing – be gentle to your skin. It can be so tempting to want to "pop" a pimple, but don't. Picking, popping, and squeezing can make your acne worse, and even lead to scarring. Cleanse your skin with an appropriate cleanser, and use over-the-counter remedies that contain benzoyl peroxide or salicylic acid and try to let your skin heal on its own. If the products you are using are not working, consult a dermatologist. Don't stress out. 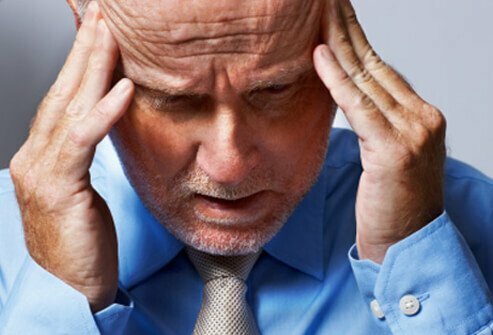 When you are stressed, you might notice you break out more, or your existing skin conditions such as psoriasis and rosacea may flare up. This is because stress can make your skin more sensitive and reactive. Stress may also interfere with proper skin care, which can lead to worsening of skin conditions. If you do feel stressed, don't neglect your skin – remember to wear sunblock and cleanse your skin properly. Try stress reduction techniques: get a massage, meditate, get enough sleep, eat right, exercise, and talk to someone if you need help. It's true, you can get too much of a good thing. Chemical peels can often help people reduce the look of lines and wrinkles, even out skin tone, brighten the complexion, and smooth the skin. However, the results of a chemical peel are often dependent on the expertise of the person performing it, and should be done under the supervision of a dermatologist or plastic surgeon trained in the procedure or the peel could result in infection or permanent scarring. 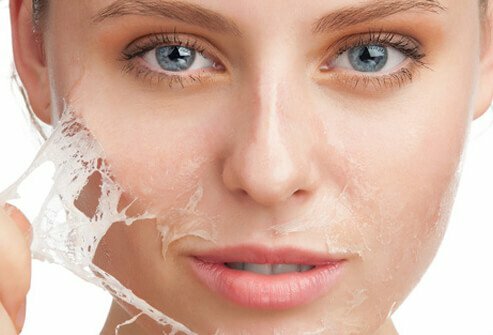 At-home peels or microdermabrasion treatments tend to be gentler on the skin than those performed by a physician, however, they can still leave your skin red and irritated. The skin – especially the top layer (epidermis) – acts as a protective barrier to the elements and helps retain moisture. Doing home peels or microdermabrasion too frequently can lead to inflammation, a blotchy skin tone, and can worsen acne. Ask a dermatologist how often you should perform these home treatments. 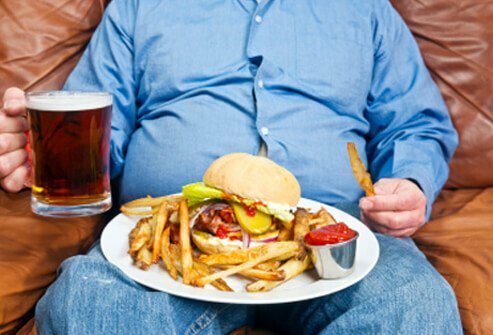 Avoid overeating. Weight gain does more than just increase your girth. It stretches your skin. If you gain a lot of weight your skin will stretch, often resulting in stretch marks. Then when you lose the weight if your skin isn't elastic enough to bounce back you could be left with flabby, saggy skin that can only be fixed with plastic surgery. In people who are obese, yeast infections of the skin can occur in the folds of the skin, and wound healing may be slower. Eat a balanced diet and maintain a healthy weight for healthy looking skin. Don't skimp on your sleep. It's called "beauty rest" for a reason! Skin rejuvenates while we sleep, and our skin gets a break from the stress of environment including sunlight, pollution, and hot or cold temperatures. 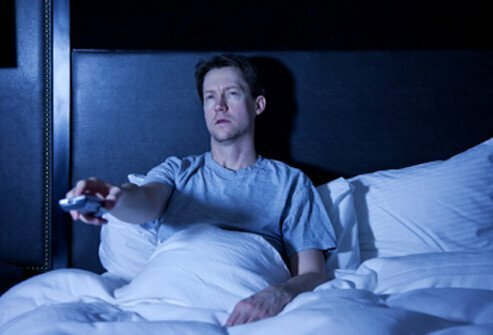 When we don't get enough shut-eye we can get bags under our eyes and dull and listless looking skin. We may even take longer to recover from skin stressors such as sunburn without enough sleep. The National Sleep Foundation recommended adults get seven to nine hours of sleep each night. Don't ignore warning signs of skin cancer. A mole can be an early warning sign of melanoma, the deadliest form of skin cancer. The Skin Cancer Foundation suggests examining your skin from head-to-toe once a month. Know your skin. Know what the moles you have look like. If you spot a mole, use the Skin Cancer Foundation's ABCDEs: check for Asymmetry, uneven Borders, varying Color, larger Diameter, and Evolving size, shape, color, or other aspect. If you find anything that concerns you, or you have a personal or family history of skin cancer, see a dermatologist. 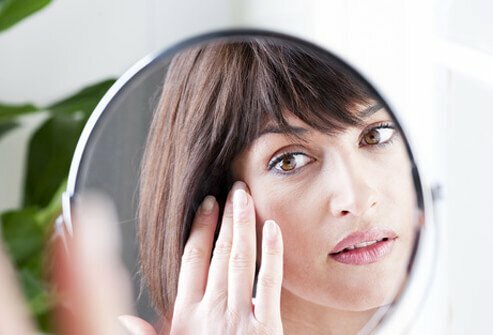 American Academy of Dermatology: "About Skin: Your Body's Largest Organ", "Face Washing 101", "Acne Scars: Tips For Preventing", "Reducing Stress May Help Lead To Clearer Skin", "Chemical Peels", "Is A Chemical Peel The Right Choice For You?" American Cancer Society: "Sun and UV Exposure"
Skin Cancer Foundation: "Sunscreen", "Do You Know Your ABCDE's?" CDC: "Indoor Tanning Is Not Safe"
Medscape: "Cutaneous Manifestations of Smoking", "A Primer of Skin Diseases Associated with Obesity"
Office of Women's Health - US Department of Health and Human Services: "Stress and Your Health"
University Hospitals Medical Center: "Esteé Lauder Clinical Trial Finds Link Between Sleep Deprivation And Skin Aging"